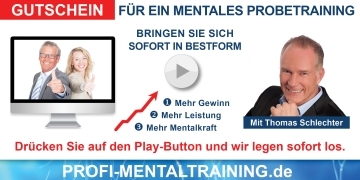 Learn more about motivation seminars, different coachings and mental power! The coaching is especially designed for people who cannot take part in a group coaching. I will support you in reaching your personal peak motivation. enerise® dramatically increases your level of motivation to prepare for any specific program or competition and provides useful help in times of majorchanges or reorientation. Every athlete, artist, entrepreneur and executive who has attended enerise® is enthused about it and is grateful for the intensive and sustainable learning effect and the resulting increase in motivation. We’d be delighted to take your call or answer your e-mail. Learn more about enerise inhouse seminars and how to boost you motivation and mental power!! This easily leads to a strong competitive edge which is reflected in the company’s turnover and profit. All companies using the enerise®-method are enthused about it since enerise® is immediately applicable and constantly recallable. Thomas Schlechter presents valuable examples of peak motivation in key situations. He demonstrates exercises and methods that can be practiced on one’s own and shows how they can be implemented on the job and in private life in order to increase personal success. Anyone can increase and bundle his/her inner energy and make it accessible for a key moment. Fees and dates upon request. You will receive a written confirmation of your registration. The registration for a seminar should occur up to four weeks before its commencement. The data included with your registration will be electronically processed for the purpose(s) of participant administration. All agreements between the participant and the organizer regarding services to be mutually fulfilled as well as modifications and extensions thereof require written form.